The roads to Spiti and Ladakh were soon to open and we were planning our annual self-drive expeditions to the remote higher Himalayas. Families were looking out for adventures that they could take on together, and build memories that last a lifetime. 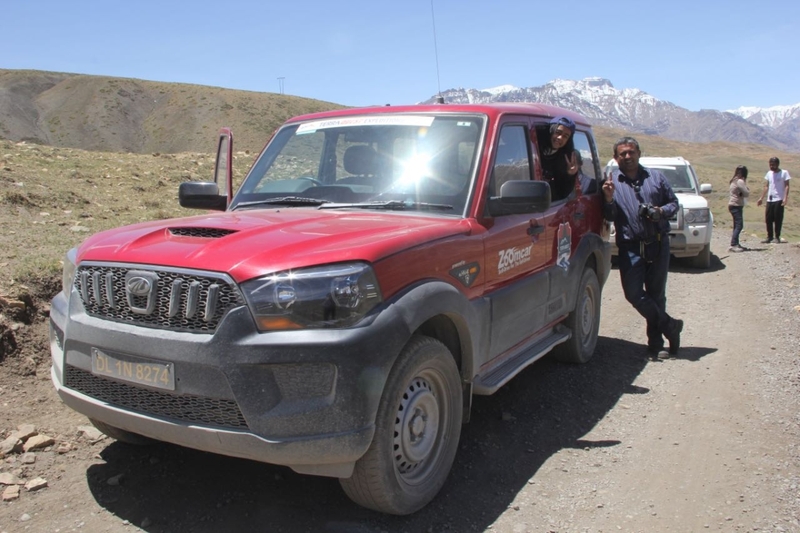 Terraquest Expeditions specializes in family driving holiday adventures to and through some of the most remote locations in the country. These are not your regular holiday destinations or a typical way a family would spend a ten day holiday! 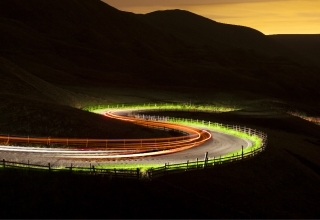 The road-trip would push you and the family physically and mentally, often out of your comfort zone. Especially with no WiFi at certain places – kids are like fish out of water that said the experience is absolutely worth it as you’ll experience breathtaking beauty – wondering why you’ve not been here before and already planning when you’ll be here next. 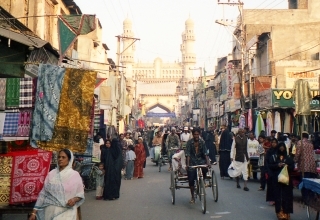 Traveling in a well equipped convoy is also one of the safest ways of traversing these regions – the vehicles are equipped with radios, support vehicles on call, first aid respond team, oxygen and all equipment that you may need on such a road-trip with a well-organized crew and the comfort of being driven by your family. Definitely also a great way of family bonding with the lack of new age distractions available in these regions! 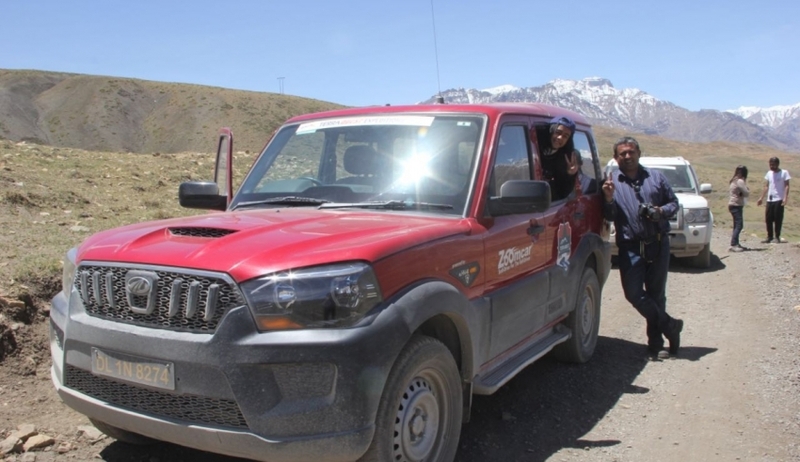 Family 1: A father-son duo, coaxed by his friend to get on board and explore Spiti Valley with us. The kids went to school together; the dads knew each other for a while. Perfect reason to head out for a long road trip. Little did they know what they would get into! 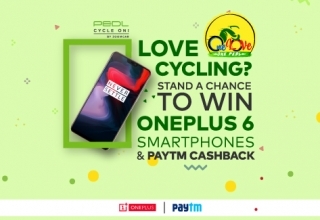 Family 2: An ex-avid biker, still a biker, super-fit wife, an IT couple, looking for a family adventure and an opportunity to explore the mighty Himalayas together with their 8-year-old daughter! Two families, one problem and I had one solution – Zoomcar! There were a few other considerations, but a great personal customer experience, along with the fact that they offer mileage in their package meant this was an option I was definitely going to put forward. These benefits in addition to the choice of SUV’s – Ecosport, XUV500 and Scorpio meant enough options for the guys driving as well. 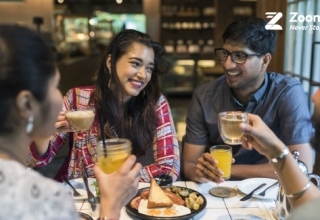 As a company, our objective is to bring the best possible deal to the traveler along with a great customer service experience. 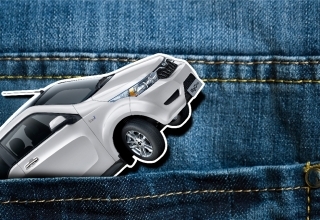 However, the key to any decision is also to ensure safety which means that the car must be in good running condition, regularly serviced with tires in “great” condition. These were the apprehensions that I had, as it was not for regular use, and the vehicles were being taken to remote places, where even the Road Side Assistance (RSA) would take a couple of days to reach. After a quick call with the zoom car marketing team, educating them about how our expeditions worked and that we need possibly the best cars available, I was convinced that well go with the Zoomcar vehicles. Each vehicle in our convoy had a call sign and for ease of reference, we’ll now refer to these two vehicles as per their call sign. Family 1 – The Red Scorpions, and Family 2 – flying down from Bangalore were called The Hogs, both driving Zoomcar Scorpios! The booking procedure was simple. I asked them to log on and within minutes their booking was done. The guys at Zoomcar were kind enough to take the booking ID’s from me to ensure that the best vehicles were delivered and all our requirements were taken care of. 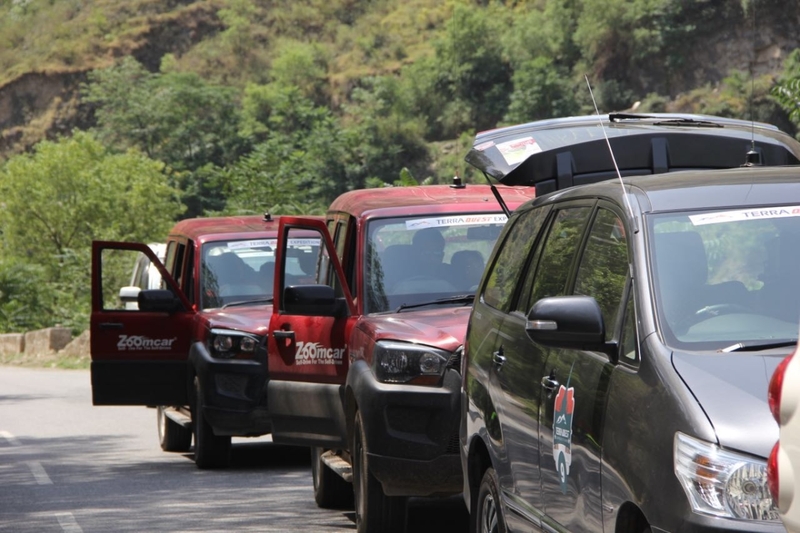 The Red Scorpions actually drove to Chandigarh in their own vehicle and rented the vehicle from there. I was apprehensive as the vehicle was being delivered to them only the night before, as was planned. 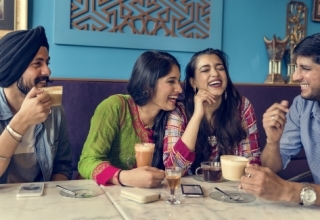 As an organizer your always thinking on the last day, and I wondered – what if for some reason we had to change the vehicle and that took time, as Chandigarh would definitely not have the same inventory as Delhi! That meant delaying the entire convoy or leaving a man behind on Day 1, none of which made for a fun story! Fortunately for The Red Scorpions and the organizers, the process was spot on, the vehicle was in great condition and delivery bang on time as per discussion! Hogs, on the other hand, had flown into Delhi and received the vehicle a day before in time at aerocity. I had made a request to Zoomcar for a child-seat and was happy to hear from them that it was promptly placed in the car. A go-ahead from Hogs that all was well with the vehicle, and they were on their way to Narkanda, the start point for the Spiti Expedition! You only start to feel the excitement and adrenaline oozing once you reach the hotel parking lot. All 11 cars lined up – getting stickered up and radio’s installed. The Red Scorpion and Hogs – the two red Scorpios were taken from Zoomcar making up the final two! The line – up was a capable one – 3 Scoprios (Apart from the two Zoomcars) 1 Thar, 2 Innovas, 1 Land Rover Discovery 4 and 2 Toyota Fortuners. 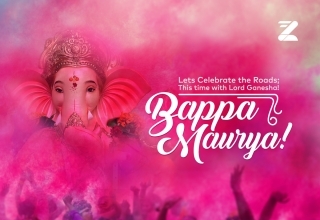 Together we were going to drive through apple country in Kinnaur, enter Spiti valley to witness a 500-year-old mummy, drive to some of Asia’s highest motorable villages, and scale the heights of the mighty Kunzum La and onwards to Manali via the famous Kaza – Manali highway. The route, in short, was Narkanda – Sangla – Chitkul – Tabo – Pin Valley – Kaza – Losar – Manali, to be covered over 8 nights and 9 days. Even though we drove the vehicles and Amit and Bharat examined the two rented vehicles there was still an apprehension that the rented vehicles would not do as well as the owner ones – after all, they have been driven by multiple users and we were not aware of the history of faults if any. There were times when we hoped that these vehicles performed, especially key components as the clutch, the breaks, the tires as we were always climbing or reducing altitude in harsh terrain! We faced no issues at all and confidently and safely conquered the high altitude villages of Langza and Komic, and even sent a postcard back home from the words highest post office in Hikkim. 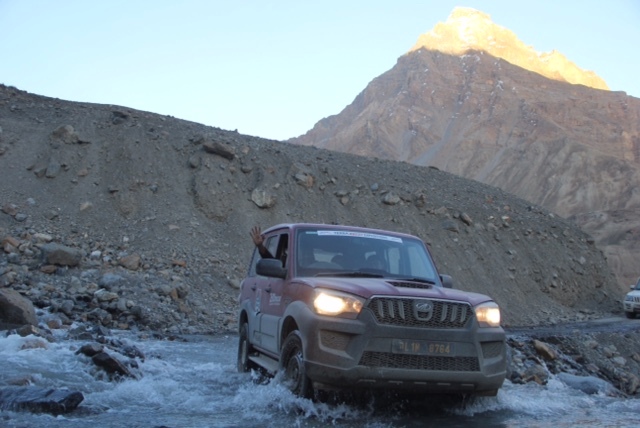 The vehicles were put to a real test on the Losar – Manali stretch. 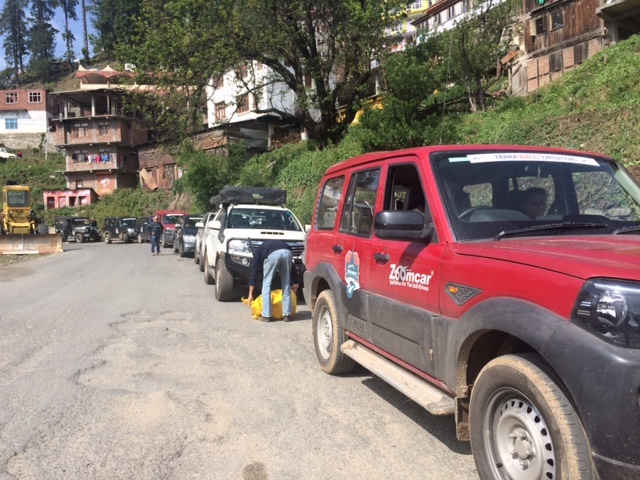 Lucky enough for the roads to open just in time, we were the first bunch of cars to be let through as the route had just opened, thanks to the Border Roads Organisation, a lot earlier this year than last year. The drive starts with us ascending the mighty Kunzum La (15,060 Ft), after which we came down to Batal. 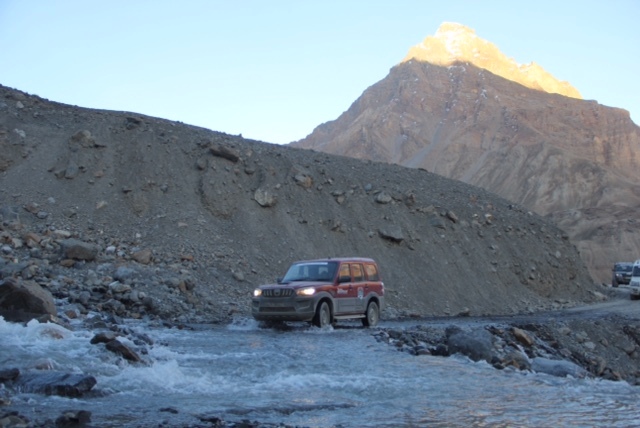 The route from Batal to Chatru is as good as a riverbed – yes we literally drove through streams and across a river bed, and this was the real test of these vehicles. The drive from Chatru to Rohtang as one would know is a strenuous one for both man and machine. We were fortunate that each of the cars behaved amazingly well, with not even the slightest of issues, ensuring each of us reached our destination safely. As someone who does the route almost 3 times a year, we knew the strains that the vehicles go through and were extremely pleased with the way the Zoomcars performed. In fact, we are starting our next expedition to Spiti on the 9th of July, 2016 – and have booked two more vehicles for two more adventurous families, planning a drive of a lifetime with Zoomcar and Terraquest! Previous article Are YOU a Zapster Yet? Know the 9 Reasons To Be One! Hi, My wife and I are doing the same trip from 22nd July to 2nd August. We plan to hire a ford ecosport from Zoom cars and drive the same route as you. Would the Ford Ecosport be all right for the trip. 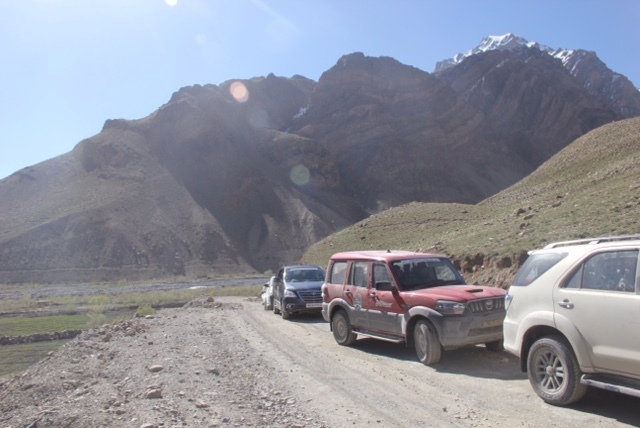 We did the Manali-Laddakh- kashmir trip in 2014 in 2014.